Daubert Cromwell has a complete selection of VCI papers and devices for use in military packaging applications, whether it’s to protect individual firearms or ship crates of critical supplies to warfighters. All military packaging meets the strictest requirements for long-term corrosion protection of ferrous metals in severe environments. 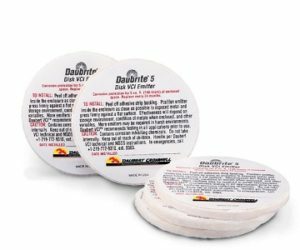 Daubert Cromwell products have met these standards for decades. Today, the U.S. Dept. of Defense Qualified Product List (QPL) lists Daubert Cromwell on its military specifications for MIL-PRF-3420 VCI Paper. VCI Papers on the U.S. Dept. 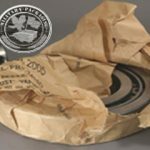 of Defense Qualified Products List (QPL) for military specification MIL-PRF-3420 (Packaging Materials, Volatile Corrosion Inhibitor Treated, Opaque). 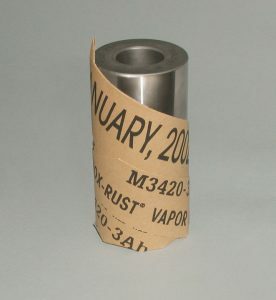 Nox-Rust Vapor Wrapper 4060 - Light duty Class 3, Style A. 35lb. Natural kraft. NSN-8135-00-810-0481. Nox-Rust Vapor Wrapper VW60H - Medium duty Class 2, Style A. 60 lb. natural kraft. Nitrite-free. NSN-8135-00-664-4012. Nox-Rust Vapor Wrapper 7090 - Heavy duty Class 1, Style A. 70 lb. natural kraft. Two types of Versil-Pak pipe wrap meet the requirements of military specification MIL-B-121. Polyester high strength fabric, waxed one side, laminated to barrier film and wax coated. High adhesion wax assures excellent barrier properties. It is treated to help reduce anti-microbial induced corrosion (MIC). Polyester high strength fabric, waxed two sides, laminated to barrier film and wax coated. Two-sided high adhesion wax assures excellent barrier properties. It is treated to reduce anti-microbial induced corrosion. Contact Daubert Cromwell for other packaging materials for use in military and government applications.